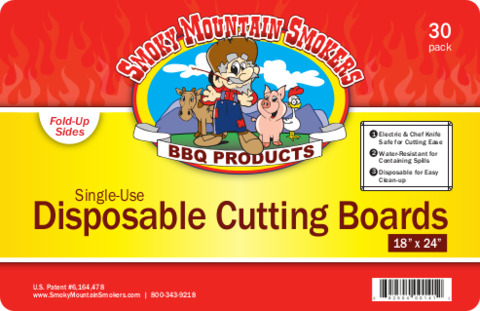 Disposable Cutting Boards - 18"x24"
This is our large size board, just right for big meats like brisket, pork shoulders and ribs. Generous 18" x 24" size! These boards have fold up sides if you wish to use them to contain the juices from your meat. Holds up very well to sharp knives and electric knives.